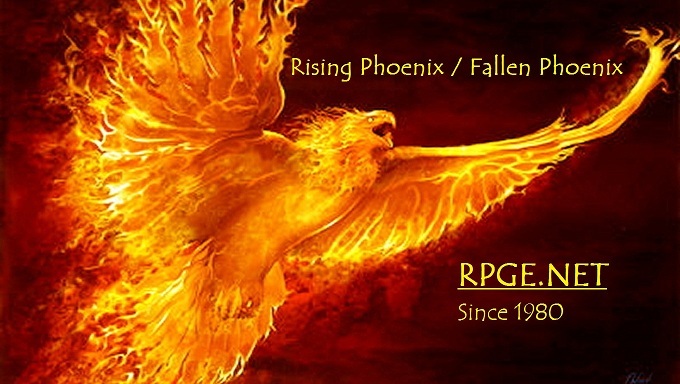 Rising Phoenix has established itself on many worlds since the 1990s. Some have folded - some still going strong and some in-between. If you see a world you would like to be part of - just /tell someone from the family for an invite. If you are in a world and wish to be added to the list below, just email me to be added. # 2012 - >The Secret World (Cerberus Server - We are DRAGON Cabal) LEADER:Unitsi "Uni"
# 2012 - >Guild Wars 2 (Yaks Bend) LEADER:Unitsi "Uni"
We are on many worlds! Look us up! Wish to join in on any - email the Leader's link and set up a date and time for invite. We have Leaders for each of our splinter worlds that we are on. We encourage folks to make Rising Phoenix on new worlds coming out. Once Rising Phoenix is made on any world, let Unitsi know so she can create Forums and setup Ventrilo Channels for you. We do not govern your worlds and leave it up to the Leader to resolve conflicts that may arise in each household. There will be times that Domina and Unitsi may get involved if an individual contacts us directly, in that case, Domina will be the mediator of said conflict. We have a set of Core Values that leaders of each house with the Rising Phoenix name users will abide by. We do not normally get involved in how a leader runs their house. Some have a Council under them they refer to if an incident arises to come up with a solution. Others are Leader only and their word is law. Before anyone joins one of our houses, you should ask what the guild structure is to see if it fits your play style.